Do you have puzzles at your house which are missing pieces? If so, with just a few additional supplies, you'll have what you need to help your grandchildren make a fun heart craft which I found on Pinterest. Follow this link for all the specifics - it is simple, paint the puzzle pieces - or have your grandchildren color them with crayons or markers - then glue together. I think it could be fun to use the print side of the puzzle in place of painting/coloring the pieces, too! 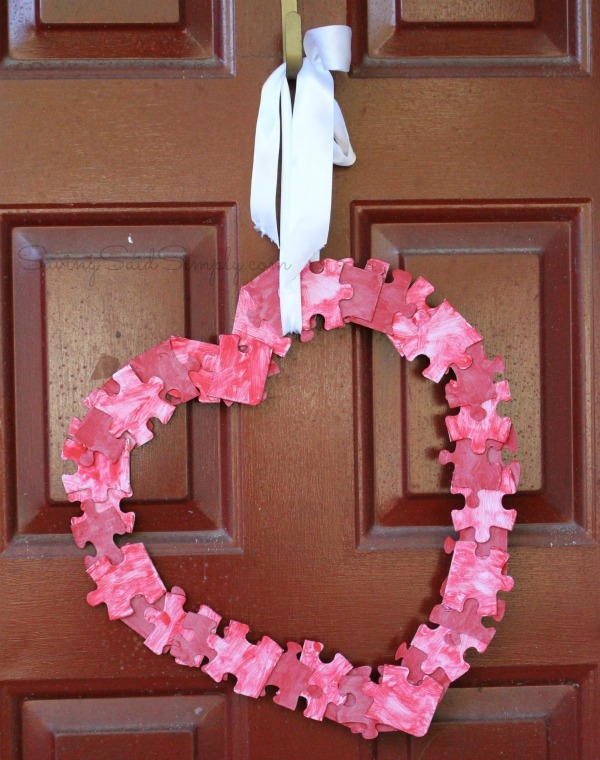 I think this is a craft my grandsons could enjoy - I'll watch for puzzles at yard sales and then see if we can make puzzle wreaths which they could give to their neighbors! We could add a verse about God's love for a fun way to share their faith with others! What might you do with this craft idea?